Thank you for contact sharperedgeengines. We have received your request, and our support team will be in touch with you soon. so it's officially official: the north american international auto show in detroit is moving from its longtime date in early january to a new slot in early june. this means there will be one more freezing-cold naias in january 2019 before it takes a 17-month break and shows up again the second week of june 2020. but it's not just the date that's changing — it's the entire show. organizers are taking this opportunity to rethink the entire event, how it's presented, what attractions attendees will want to see and what the city can offer in a warmer, more presentable time of year. why was it moved? simply put: auto shows are struggling all over the world. people aren't paying as much attention to them now that they can get their information on new cars from websites like the one you're reading this on. costs for automakers displaying cars have skyrocketed — at the detroit show, construction of the displays takes as long as two to three months and can costs tens of millions of dollars in materials, fees and labor. and automakers are finding that spending a lot less money on smaller events generates much more media coverage than spending a lot of money and trying to compete with a dozen other companies also introducing their cars at the same time. all of this has led to foreign automakers abandoning the detroit show in 2019 — the only european brands present will be volkswagen and alfa romeo, with bmw, audi and mercedes-benz joining porsche, mini, jaguar-land rover, lamborghini, ferrari, maserati, rolls-royce, bentley and everyone else sitting it out. the move to june will also mean a rethink of the way the show happens. with the weather far more hospitable than in the icy depths of january, outside displays will blossom in nearby hart plaza and all along the detroit river waterfront between the cobo center and gm's world headquarters in the renaissance center building complex. organizers' plans also show water ferries running between cobo center and nearby belle isle, a scenic state park in the middle of the detroit river. 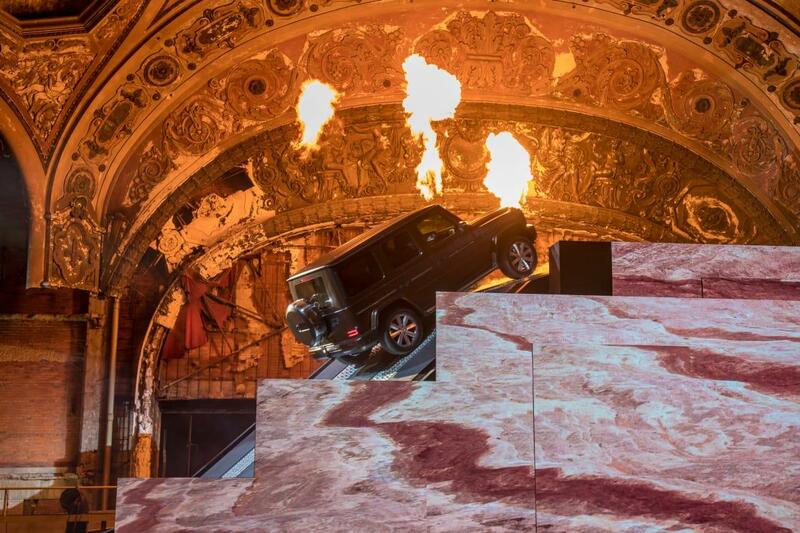 venues are expected to pop up all around the city as the idea of the show changes from a centralized static display of new vehicles under lights to a weeklong celebration of style, speed and driving fun modeled after the goodwood festival of speed in the united kingdom. what does this mean for you? well if you're looking for new-model debuts at the new detroit show, you may be disappointed — we're not yet sure how the timing of this new show fits in with the cadence of new-model reveals by automakers. although there's now less adherence to the previously rigid schedule of introducing vehicles at certain times (many automakers choose to do reveals in the middle of summer at private events, like the new 2019 chevrolet blazer in june or the upcoming 2019 mercedes-benz a-class later this week), it remains to be seen whether automakers will want to show a vehicle in such a venue. however, if you're looking for a destination for a week of automotive fun, it may be time for you to book those tickets to detroit two summers from now. with the city's recent redevelopment and restoration landing it on "must visit" lists from all manner of travel websites, the time may be right to use a flashy new event to bring people into the city as a tourist draw. the show will follow the detroit grand prix weekend, which is always the first weekend in june after memorial day — so there's even more reason for automotive aficionados to attend. and with new features like a test track on the roof of cobo center, ride-and-drive events all over town, exterior displays and planned concerts, the rethink of the detroit auto show should draw attention just for its novel approach to drawing back automakers and attendees. we're eager to see what organizers come up with. 's editorial department is your source for automotive news and reviews. in line with 's long-standing ethics policy, editors and reviewers don't accept gifts or free trips from automakers. the editorial department is independent of 's advertising, sales and sponsored content departments.